Dr. Timir Datta-Chaudhuri received his BS, MS, and PhD degrees in electrical engineering from the University of Maryland, College Park, MD, in 2007, 2013, and 2015, respectively. His thesis work was on the development of hybrid bioelectronic sensing systems, integrating CMOS circuits with living systems. He was recruited into the Neural Technologies Group within the Center for Bioengineering at Lawrence Livermore National Laboratory, Livermore, CA, as a postdoctoral fellow in 2015. His research focus was on the development of implantable neural interfaces for restoring memory and the treatment of neuropsychiatric disorders. His research interests include brain-machine interfaces, lab-on-a-chip, cell-based sensing, biosensors, microsystem design and packaging, mixed-signal integrated circuit design, adaptive analog circuits, and neuromorphic engineering. 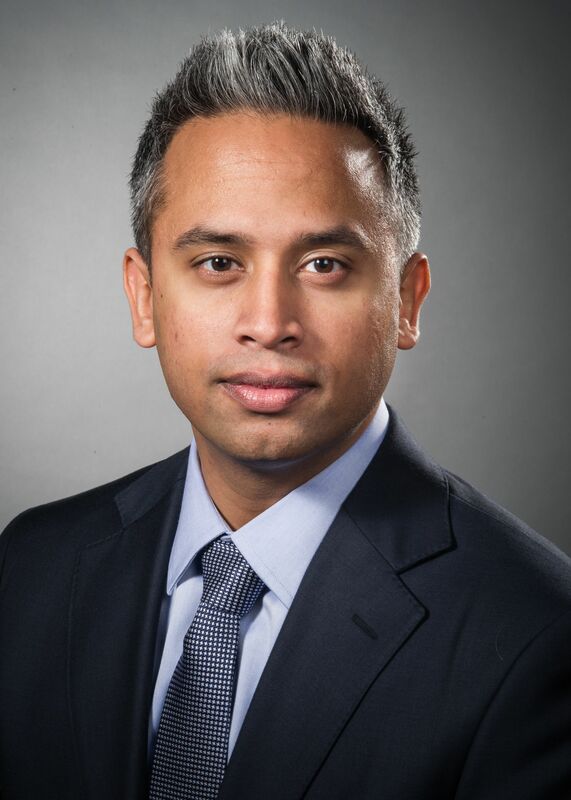 In 2017, Dr. Datta-Chaudhuri accepted a position as an assistant professor at the Feinstein Institutes for Medical Research, where he joined the Center for Bioelectronic Medicine as the lead of the Bioelectronics and Biosensing Laboratory. The intersection of biology and electronics has always been the focus of the work performed by Dr. Datta. His early work involved neural networks and neuromorphic computing, building systems that emulated the computational capability of biology by employing spiking neural networks built using silicon integrated circuits. He then went on to develop lab-on-CMOS systems that intimately combined electronics and biology to create hybrid bioelectronics systems with capabilities greater than the sum of their parts. These systems included electrical and optical interfaces to living cells, and electronics that were designed to interact with living systems. The living cells were used to sense the environment and the signals from the cells were processed by the onboard electronics using the same computational paradigms seen in biology. Building these systems required developing novel die-level packaging techniques to allow the biology and electronics to work together harmoniously. Now his work focuses on the development on implantable neural interfaces for treatment of diseases and for augmenting human capability. The underlying goal of all the work performed at the Bioelectronics and Biosensing Laboratory is the development of next-generation bioelectronic therapeutic devices. Working with the other collaborating laboratories at the Center for Bioelectronic Medicine, the Bioelectronics and Biosensing Laboratory will develop the miniaturized implantable devices that will enable later-stage clinical trials and eventually the commercial realizations of the bioelectronics therapies being pioneered at the Feinstein Institutes for Medical Research. The work performed at the laboratory consists of developing the miniaturized electronics and implantable packages required for chronically implantable neural interfaces as well as answering the basic scientific questions about the optimal ways to apply biolectronic therapies to maximize efficacy through selective targeting. N. Halonen, J. Kilpijärvi, M. Sobocinski, T. Datta-Chaudhuri, A. Hassinen, S. B. Prakash, P. Möller, P. Abshire, S. Kellokumpu, and A. Lloyd Spetz, “Low temperature co-fired ceramic packaging of CMOS capacitive sensor chip towards cell viability monitoring,” Beilstein Journal of Nanotechnology, 2016, 7(1), pp 1871-1877. A. Berkovich, T. Datta-Chaudhuri, and P. Abshire, “A Scalable 20×20 Fully Asynchronous SPAD-Based Imaging Sensor with AER Readout,” IEEE International Symposium on Circuits and Systems (ISCAS), Lisbon, Portugal, 2015. T. Datta-Chaudhuri, P. Abshire, and E. Smela, “Packaging commercial CMOS chips for lab on a chip integration,” Lab on a Chip, 2014, 14(10), pp. 1753-1766. T. Datta-Chaudhuri, B. Senevirathna, A. Castro, E. Smela, and P. Abshire, “An Active Micro-Electrode Array with Spike Detection and Asynchronous Readout,” IEEE Biomedical Circuits and Systems Conference (BioCAS), Lausanne, Switzerland, 2014. T. Datta-Chaudhuri, E. Smela, and P. Abshire, “System-on-Chip considerations for CMOS fluidic and biointerface applications,” IEEE International Symposium on Circuits and Systems (ISCAS), Melbourne, Australia, 2014, pp. 2009-2012. E. Naviasky, T. Datta-Chaudhuri, and P. Abshire, “High Resolution Capacitance Sensor Array for Real-Time Monitoring of Cell Viability,” IEEE International Symposium on Circuits and Systems (ISCAS), Melbourne, Australia, 2014, pp. 634-637. T. Datta-Chaudhuri, E. Naviasky, and P. Abshire, “Floating-gate Capacitance Sensor Array for Cell Viability Monitoring,” IEEE Biomedical Circuits and Systems Conference (BioCAS), Baltimore, MD, 2013, pp. 65-68. P. Abshire, T. Datta-Chaudhuri, et al., “Confession session: Learning from others mistakes,” IEEE International Symposium on Circuits and Systems (ISCAS), Rio de Janeiro, Brazil, 2011, pp. 2501-2504. T. Datta-Chaudhuri, and P. Abshire, “Towards A Legged Chip,” IEEE International Symposium on Circuits and Systems (ISCAS), Rio de Janeiro, Brazil, 2011, pp. 2501-2504. D. Sander, T. Datta-Chaudhuri, and P. Abshire, “Mismatch Compensation of a Subthreshold CMOS Current Normalizer,” IEEE International Symposium on Circuits and Systems (ISCAS), Paris, France, 2010, pp. 3409-3412. T. Datta-Chaudhuri, and P. Abshire, “Mismatch compensation of CMOS current mirrors using floating-gate transistors,” IEEE International Symposium on Circuits and Systems (ISCAS), Taipei, Taiwan, 2009, pp. 1823-1826.